If Bitcoin is the Jay-Z of crypto, then Ethereum might be Kanye West. These are the two most well known cryptocurrencies around. In this article, we will look at what is Ethereum. While Bitcoin and Ethereum aren’t exactly mirror images, they do share certain characteristics that make them the two giants of the cryptocurrency world. are blockchains, the immutable, decentralized ledgers that record transactions. can be used in commerce. emerged from the same computer scientist community that embraces the underground, decentralized and entrepreneurial spirit that defines all technology pioneers. That community zeal has helped build blockchain and cryptocurrency into a legitimate industry in just 10 years, a phenomenally fast rise that truly has world-changing possibilities. Ethereum is an open-source software that uses blockchain technology to create smart contracts and allow cryptocurrency trading in its own currency, called Ether (typically listed on exchanges as ETH). Unlike Bitcoin, which was created by the mysterious Satoshi Nakamoto (a person or group that has never been clearly identified), Ethereum’s creation and development has largely been done in public by community leaders who are well-known within that world. Computer scientist Vitalik Buterin (pictured above) was just 19 when he first described the concepts that became Ethereum. In late 2013, he issued the Ethereum White Paper, a vision based on his observations and background as an established developer in the Bitcoin community. The Ethereum White Paper proposed the technical specifications and architecture for smart contracts, a series of immutable, binding agreements, as well as the rationale for their creation. This was followed by the formal introduction of the Ethereum protocol by Buterin in January 2014 at the North American Bitcoin Conference in Miami, Florida, USA. Buterin said that the name resonated with him, particularly since it contained the word “ether,” the invisible medium that hypothetically allows light to travel. 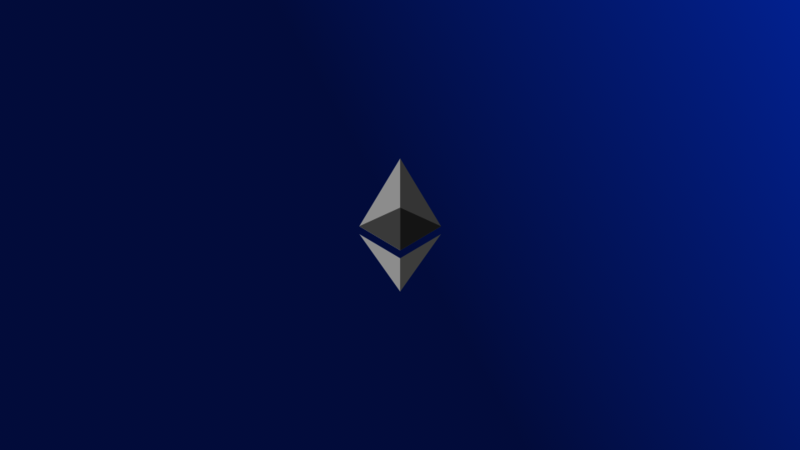 At the time of its introduction, Buterin and others referred to the project as “Cryptocurrency 2.0,” reflecting their belief that Ethereum offered improvements on Bitcoin. At its core, they believed Ethereum offered a decentralized mining network and software development that would allow users to develop their own coins. From the start, the development and governing concept was democratic. The Ethereum network was built on its own mining technology, called Dagger, that didn’t give special advantages to those using faster, modified processors, as was the case with Bitcoin. It also introduced a system in which cryptocurrency applications could run, offering specialized smart contracts that would be published on the Ethereum system and record any agreements between users and the developers. The automated contract would send and receive transactions. This was a key to making the Ethereum network useful for a variety of services, allowing developers to use it as a utility to create all kinds of new business ventures. Then the work really began. In the spirit of open source development, Buterin began working with Dr Gavin Wood, also a young computer scientist, and by April 2014, the two had developed the technical specifications for the Ethereum network. The specs were released to the world in the subsequent Ethereum Yellow Paper, which described how to implement the actual software creation. The challenge is making the client actually modular, scalable, and most importantly of all, secure. That will be the bulk of our efforts over the next few months; continually refining the client, and at the same time continuing to tweak the protocol, so that we can create a cryptocurrency that can actually survive the challenges of real-world usage levels, and real-world attackers. Bitcoin traditionalists weren’t threatened by the new development, even though the promised features were alleged improvements on the Bitcoin network, which potentially could undervalue any stakes they held. Most at the time felt that Ethereum was just another attempt at improving Bitcoin, of which there had already been several failed attempts. Any improvements that gained traction could eventually be co-opted, many felt. It probably helped that Vitalik, who published Bitcoin Magazine, had been a solid member of the Bitcoin community and built considerable goodwill. Once the specifications for Ethereum were in place, another challenge loomed: raising money to fund its development. So far, developer volunteers had taken Ethereum under their wing for the thrill of building something unique. But for the network to truly grow and thrive, compensation was needed to continue the quest. In 2014, Buterin and his co-founders held a 42-day crowdsale, selling Ethereum tokens for Bitcoin and raising USD18 million. That financial boost led to the formation of a not-for-profit organization called ETH DEV, which was managed by a Swiss foundation controlled by the co-founders. By 2015, the launch of the first live Ethereum platform was underway. The Ethereum platform proved wildly popular for developers, offering flexibility and a way to spin-off concepts in finance, logistics, healthcare, gambling, loyalty programs, video outlets and much more. In many ways, Ethereum is the baseline software for many of the start-ups in the blockchain world, even as other blockchains have emerged offering different features. Boasting a large development community led by leaders immersed in the community, Ethereum is able to maintain its dominance. One common area of confusion with Ethereum transactions is the concept of gas. Ethereum’s coin, Ether, is used to pay for gas, a fee created in ethereum-based transactions. Ethereum is the engine, and Ether is the fuel for that engine. or do anything on the Ethereum blockchain, pay for the computation time. That payment is calculated as gas, and gas is paid in a fractional amount of ether that is then taken from the account as part of the overall transaction. Gas is paid whether the transaction goes through or not, because the miners must validate and compute the transaction. The user is paying for computation time. Ether is listed as ETH on most cryptocurrency exchanges, including Liquid, and traded as high as USD1,417 per single coin in 2017 (fueled by ICO mania), although the price has since come down. Bitcoin and Ethereum have many similarities. They both follow Proof-of-Work (PoW) consensus in validating transactions, which means the network requires proof that some work has been done, typically by measuring processing time on a computer. This is done by miners. There is, however, a push to make Ethereum Proof-of-Stake. This could be a game changer and make the network much faster. It's some way off though. The Ethereum Frontier network, officially launched on July 30, 2015, arrived with a flurry of activity from the developer community. Originally intended as a beta test period, the software proved so reliable that development accelerated on the first version. Since then, other updates to the network have emerged, as developers still look to improve scaling, transaction times, and particularly security. There have been bumps on the road. One of the biggest was the hack on The Dao, which was envisioned as an investor-directed venture capital fund without a management structure or board of directors, relying instead on governance by its users. It was initially funded by a token sale in May 2016 that raised USD168 million. However, in June 2016, hackers exploited a vulnerability in the DAO code and stole one third of its funds. To deal with the issue, the Ethereum community decided to enact what’s known as a hard fork, wherein the blockchain was split in two. The original blockchain is now known as Ethereum Classic, while the offshoot is what we know today as Ethereum. Both are traded on exchanges, with Ethereum considered the main coin over the Classic version. While the fork was controversial, it didn’t derail Ethereum’s overall growth. In March 2017, a big boost arrived with the formation of the Enterprise Ethereum Alliance, a consortium of blockchain startups, research groups, and Fortune 500 companies that included Toyota, Samsung, Microsoft, Intel, JP Morgan, Merck and Deloitte, among others. The combined clout of these giant companies provides a solid knowledge base and a way for the decentralized community to have a real-world lobbying force among regulators. Like Bitcoin, Ethereum continues to contend with various issues, including scalability, transaction times and security. Other blockchains that promise to be better, faster, and swifter have also emerged, with some (like EOS) having significant warchests. There are still security issues, some with serious consequences. One hack, of a company called Parity Technologies, (which, ironically, was run by Gavin Wood) resulted in an estimated USD60 million in start-up funding being frozen. To date, no solution to unfreeze those assets has been devised. But as competition continues, no other blockchain (other than Bitcoin) has gained the traction that Ethereum has in the market, and with its open-source ability to constantly improve, most observers are betting it will retain its prominence.